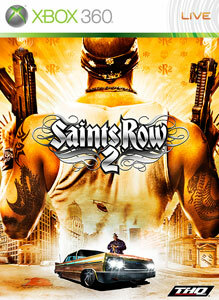 Saints Row 2 has just received some free content with the Unkut Pack. it features more outfits and tattoos to further style your character. **But unfortunately there's a catch: You must be a Xbox Live GOLD Member to get the content. Sorry Silver guys. "Pimp out your personality with over 60 brand new customization items including Unkut watches, necklaces, bracelets, T-shirts, tank tops, hoodies and camisoles. Change it up with a preppy polo, or dress it down with some jeans at Sloppy Seconds. Ink-up your character with 16 all new tattoo options."